Looking back, Sister Catherine Slattery recalls that her vocation and her work, both as a teacher and in promoting the Good Samaritan Benedictine charism in schools, is a long way from her original career plans. As a young teacher in former Good Samaritan schools across Queensland in the 1980s, a light dawned for Sister Catherine Slattery when she realised that the Good Samaritan Benedictine tradition, which offers so much, was in danger of disappearing as Good Sam schools were amalgamated with schools from other religious orders. Now, 30 years later, as Catherine steps down from her role as Director of Mission Integration for Good Samaritan Education (GSE) – the ecclesial community that the Sisters of the Good Samaritan established in 2011 to carry their charism forward in Catholic education – she is thankful that not only has the Good Samaritan Benedictine tradition survived in schools, but is flourishing. “The light that dawned for me was the recognition that Sisters of the Good Samaritan have been gifted with a rich and life-giving legacy in the form of our Benedictine spirituality – a way of life, a way of being in the world that has so much to offer across the broad spectrum of society, including our Catholic schools,” she said in an address to the recent GSE Assembly. Catherine asked those at the Assembly dinner, who among them could have imagined that they would be gathered together, standing firm on the foundations laid through the work of so many. “Who could have imagined that we would be part of a new and vibrant ecclesial community, participating in God’s mission through the ministry of our ten schools?” she said. “Who could have imagined that our Good Samaritan Benedictine charism would be flourishing in fresh and different ways, nourishing the faith of whole communities, challenged by the Parable [of the Good Samaritan], guided by the Rule [of St Benedict] and informed by the lives of the Sisters? Looking back, Catherine recalls that her vocation and her work, both as a teacher and in promoting the Good Samaritan Benedictine charism in schools, is a long way from her original career plans. Having grown up in Adelaide as a ‘cultural’ Catholic, Catherine attended Stella Maris Primary School in Seacombe Gardens and Marymount College, both Good Samaritan Schools. After leaving school, Catherine took a job and studied for a year or so, but in 1969 she decided she had to explore “this gnawing restlessness inside of me” which was the pull towards religious life. “I felt the need to satisfy myself that this wasn’t what I wanted. But, you never know the motives of your own heart, and so I joined the Good Sams intending to leave within six months, satisfied that it wasn’t for me,” she says. Catherine continued her discernment in the novitiate during the turbulent post-Vatican II days, which saw many of her contemporaries leave religious life. “It was a very disruptive time. It was very traumatic for those who left, and we who stayed all suffered as well. It was tumultuous,” she says. But, thanks in large part to the authentic witness of her novice director, Sister Bernice McDonnell, Catherine chose to commit herself to life as a Sister of the Good Samaritan and was professed in 1972. After training as a teacher at the Good Samaritan Teachers College, Glebe, she was appointed by her superiors to a series of schools in New South Wales and Queensland, first primary schools and later high schools. While teaching at Moruya and then Rosebank College in Sydney, Catherine pursued a Science Degree externally through Macquarie University, an experience she says opened up new worlds to her. After Rosebank, she was appointed to Ayr in the Townsville Diocese, where the Good Sams had been teaching since 1912, but, due to declining numbers of Sisters in the late 1980s and early 1990s, they had amalgamated St Francis Xavier Girls High School with the local Marist Brothers boys high school (now known as Burdekin Catholic College, a systemic school within the Townsville Diocese). “In North Queensland I began to experience working in schools that had been Good Samaritan schools for up to a century, but were now being amalgamated with schools of other religious orders,” she says. “And I started to see how quickly the Good Samaritan connection had disappeared from these schools. A period teaching in Brisbane at Mount Maria Senior College, another amalgamated school, was followed by “a very enriching” appointment as Principal at Ryan Catholic College, a K-12 systemic school in Townsville. At the end of 1994, while a member of her congregation’s Council, Catherine was appointed to St Patrick’s College, a Good Samaritan school in Campbelltown, NSW. A “really wonderful” sabbatical year undertaking studies in New Mexico, Rome and Jerusalem followed and during that time Catherine formulated plans for her return to Australia. “My plan was to try to work with the [Good Samaritan] Education Council to set up some means of supporting people in our ten schools and also helping them articulate what it meant to be a Good Samaritan school,” she says. However, as she was on her journey home to Australia in 2000, Catherine was informed that the principal’s position at St John the Evangelist secondary school in Nowra had become unexpectedly vacant and she was asked to step into the role. “So it was after I left Nowra that I started this work, during 2002, with the support of the Good Samaritan Education Council, chaired at that time by [Sister] Margaret Keane,” she says. “Our initial steps were small, requiring many conversations with the principals of our ten Good Samaritan schools as we identified formation needs and tried to map out ways forward. The principals were generous in their response and agreed to partially fund the staffing of our Mission Team, which was formally established in 2005. In 2011, after an intense, broad-based period of discernment within the Congregation and the ten Good Samaritan schools still being run by the Sisters, Sister Clare Condon and her Council decided to establish Good Samaritan Education as a Diocesan Public Juridic Person. This was discerned as the most effective way for the schools to retain and enhance their Good Samaritan identity within the broader diocesan community. 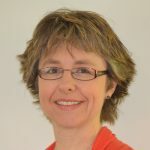 Since taking on the role of Director of Mission Integration for GSE, Catherine and her GSE colleagues, particularly the Mission Team, have developed programs which offer professional learning and deep formation in the tradition for governance personnel across GSE, and leaders, middle managers, staff and students of GSE schools. “It has been absolutely privileged work,” she says. “For me, it’s always a constant revelation of the richness of the tradition and its capacity to enrich human lives across any time and any place. Catherine, who is also a member of the National Catholic Education Commission, says she knows that now is the right time to step down from her role with GSE, although she will remain on the Governing Council in 2017. Pat O’Gorman will take up the position of Director of Mission Integration.